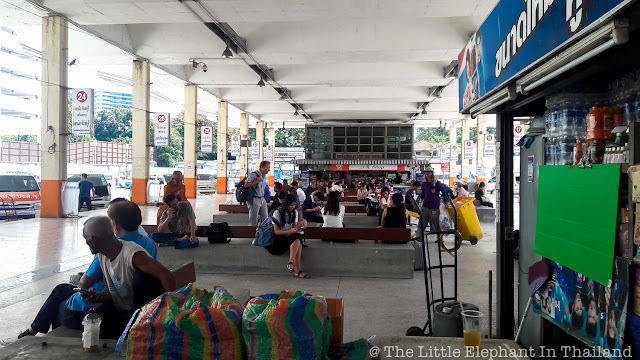 When travelling eastbound from Bangkok at Ekmai busstation it is amazingly to see that nothing has changed here in the past 18 years. Although nowadays located in the middle of modern Bangkok the bus-station still feels and looks as 18 years ago. And you can still travel cheap for only 108 Thai baht in a comfortable 2 hour drive to Pattaya beach resort. The bus has changed a bit... All seats have now seat belts. And the passengers have also changed... 18 years ago it were mostly western tourists... Nowadays it are mostly young Chinese, Korean an Indian tourists.